I am delighted to welcome Jacob Collins to damppebbles today. Jacob is the blogger behind the wonderful Hooked From Page One and has kindly agreed to share three book recommendations which he feels you MUST READ! 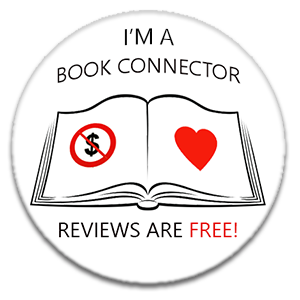 #R3COMM3ND3D2017 is my new feature where I invite book bloggers and authors to share three recommended reads with us. The only rule being that the books must have been published between 1st January 2017 and, well, now! All the Wicked Girls was an utterly absorbing read. Once I started reading I didn’t want to put it down, it’s one of those books that you don’t want to end. Great characters, great plot and a great setting, Chris Whitaker has become one of my favourite writers. This is the fourth book in the DI Marnie Rome series. Sarah Hilary has created an engaging series with unforgettable characters. I rarely look at the blurb for Sarah’s books as I know straight away that I’ll enjoy it. I had to choose this book as one of my top reads because I was lucky enough to feature as a character in the book. As with all of her books, she has created a really engaging storyline. I can’t recommend it highly enough. I read this novel quite late in the year, I was so excited when I finally got round to reading it as it had been sitting on my shelf for a while. Elodie’s writing is exceptional, very atmospheric, she paints a vivid picture of the Norfolk landscape and the story will keep you turning the pages. I loved it. Great choices Jacob. I have recently read and enjoyed The Binding Song myself, I thoroughly enjoyed the Marnie Rome books I have read (not made my way to QTK yet) and have All The Wicked on my radar for reading in the next couple of weeks! Thank you for joining me on damppebbles today. My name is Jacob and I am in my early twenties. I have been blogging since June 2016. I have loved reading since I was a child; I was always up the local library and I loved listening to audiobooks, The Famous Five and the Horrid Henry books were among my favourites. I am also currently working on my own crime novel which I am hoping to finish early next year. 3 new authors for me! thanks, Jacob! Super to find out more about Jacob and his favourite books. I’ve not yet read The Binding Song but the other two are excellent choices! I still have to start with the first novel by Sarah Hilary.. it’s staring at me from across the room. All The Wicked Girls was my one DNF this year, I’m sure it has a very engaging plot but the writing style was not my cup of tea. I still have to/want to participate but I can’t decide on 3 books :-). Great feature Emma! Such a great feature and so many new recommendations for me!